Home » Publications » Tsirogiannis, C. (2015), ‘Nekyia: Duplicates and the Antiquities Market’, Journal of Art Crime 12: 81-88. Tsirogiannis, C. (2015), ‘Nekyia: Duplicates and the Antiquities Market’, Journal of Art Crime 12: 81-88. For more than 60 years, academics, field archaeologists, journalists and state authorities have discussed the idea that countries of origin should offer ‘duplicate’ antiquities or multiple copies to the market, for a variety of reasons. Some of the participants in the debate are echoing the desire of the market which generally promotes the idea that antiquities certified by countries of origin should be made available for sale. Journalist Karl E. Meyer, in his 1973 book The Plundered Past, refers to the possible legal sale of antiquities which are the findings of state archaeological excavations and are classified as duplicates. Meyer suggests that the sale of these duplicates could take place in order to satisfy “at least the collecting appetites of those with a moderate income, with the money used to support excavations.” Although Meyer implies that such proposals have been made several times before 1973 (without ever having been applied in practice) and refers (Meyer 1973:186) to a relevant attempt in Mexico “a few years ago,” the author does not support this information with specifics. As we will see, Kersel and Kletter (2006) uncover evidence that the Israeli state in principle enabled the sale of duplicates in the 1950s. I find it a strong possibility that this is what Meyer had in mind. 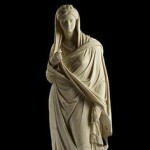 A 2nd century Roman statue looted from Italy, acquired by the Boston Museum of Fine Arts in 1979, and returned to Italy in 2006.